Yesterday Peru held local / municipal elections. I don’t follow politics very closely but the local elections seem to be quite important because in the provinces outside Lima the local government seems to be more relevant than the central government back in Lima. Here are the official 2010 Peru election results. What amazed me about the elections is that the entire country was “dry” by ley seca. No alcohol was sold in the country during the entire election weekend. This entry was tagged 2010, dry, elections, ley seca, Peru. Bookmark the permalink. I didnt have ley seca this past elections either however they still didnt allow me a beer. 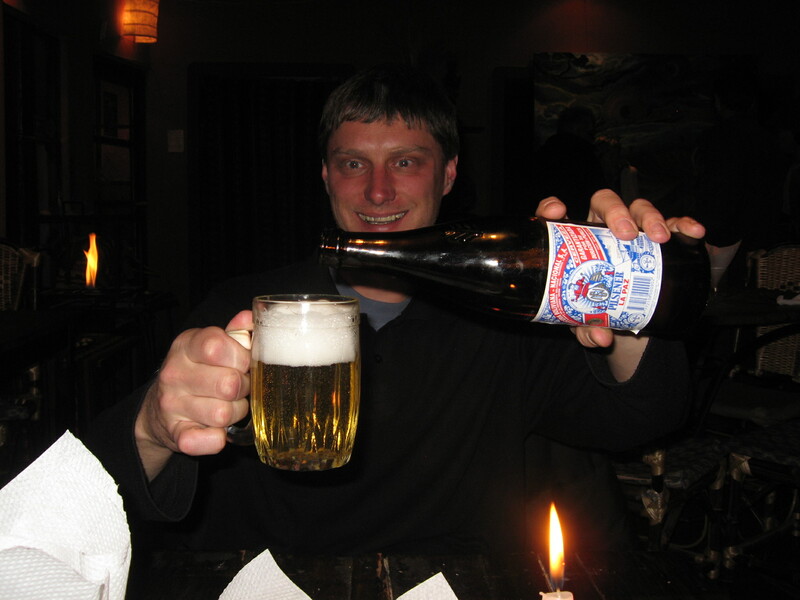 I had to drink beer and chicha or beer and inka cola mixed. however i had bottles of pisco in the house i poured on into a san luis bottle and also had vanilla stoli and coke in two 1/2 litre coke bottles. it was a friends birthday saturday there wasnt a way for us not to be happy. then there is a place called la barraca here its basically contraband liquors you buy at half price. they had their doors half shut. I heard stories of vendors going up to taxis to ask what they wanted. basically ley seca doesnt exist. I bought my bottle of rum in la barraca. easy. its eiether in a black bag or wrapped in newspaper to ‘conceal’ what it is. not like something that looks like a liquor bottle doesnt contain liquor? what quacks like aduck and looks like a duck…..